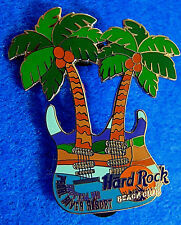 PALM TREE BROOCH!Tropical Trees Motif Pin.Beach & Resort.Emerald Green Enamel. 52 ACRES BEACHFRONT PROPERTY / AMAZING PERFECT BEAUTY! !